In the fast paced age in which we currently live, each and every moment seems to be occupied by some sort of activity or responsibility. There simply isn’t enough time in a day to accomplish each and every goal you established when you lifted your head off the pillow in the morning, causing you to rush through the day without spending a great deal of time performing any specific task. In today’s culture, technology plays a critical role in managing the various sources of information and responsibilities that consistently bombard our lives. These tools, such as the smart phone, computer, tablet, and internet, serve to aid us in better managing our time by increasing efficiency, which results in higher productivity. At the same time, the very technology that helps us on a daily basis can also be attributed with providing us the false sense of comfort that we have the ability to multitask effectively, therefore causing us to return to the cycle of rushing through the day. Technology is great, but it does not solve all problems. Where is the personal interaction that proved successful generation after generation? 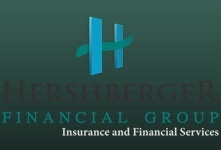 At Hershberger Financial Group we believe that your current financial condition is not one of those areas to be brushed by the wayside. We place an emphasis on communication, with the focus on listening to your goals, in order to formulate a solution and a vision for the future. Yes, we do utilize technology in order to more effectively meet your needs, however we feel that there is nothing more important than the care and attention of one on one interaction. Allow us to meet with you at your convenience in order to aid in achieving your financial goals.